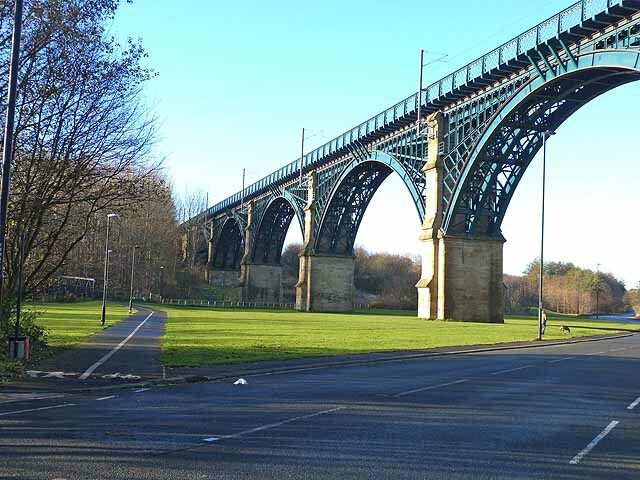 "This remarkably elegant viaduct spanning the Willington Gut at the mouth of the Wallsend Burn was built in 1838 by John and Benjamin Green for the Newcastle and North Shields Railway. It now carries the Tyne and Wear Metro line. To the left is National Cycle Network route 72 which follows the north bank of the Tyne into Newcastle." Photo by Oliver Dixon, 2013.